Contents and Media: Grey resin. See detailed description below. 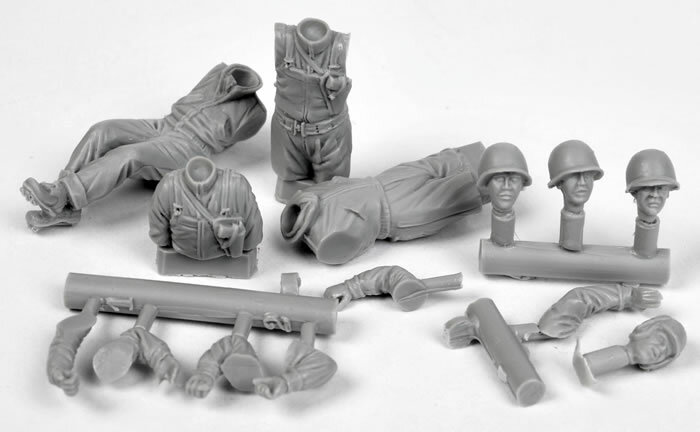 Advantages: High quality casting; nice detail; will deliver a very different look for your Tamiya "Jimmy"
Gaso.Line specialises in 1/48 scale resin kits, conversions and figure sets. Three recent releases are under review tonight. 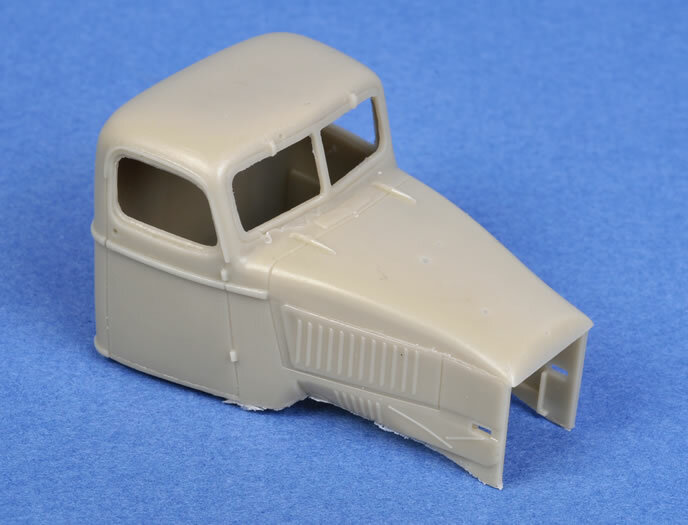 The first item under review is the closed (or steel) cab for Tamiya's 1/48 scale GMC "Jimmy" truck. 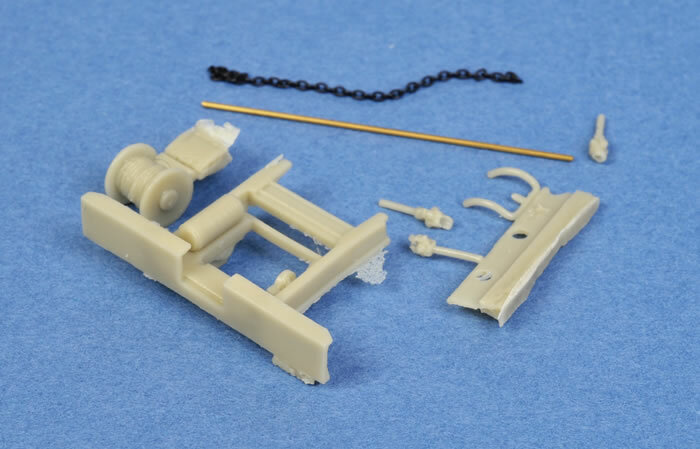 The set comprises five very well cast resin pieces and a small photo etch fret for the wipers. 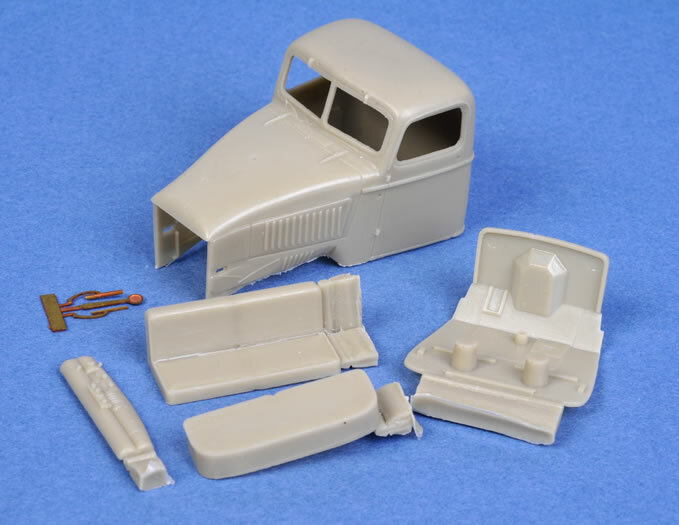 The resin pieces are the cab, dash, floor and seats. The important cab shape is captured very well and it really looks the part. The second set is a winch and front bumper that, to my eye, always makes the “Jimmy” look tough. This set supplies five resin pieces, one length of chain, and a length of brass rod. The wire moulded on to the return drum is very well done and is a credit to the master builder. The last set from Gaso. Line is a set of US Tankers. 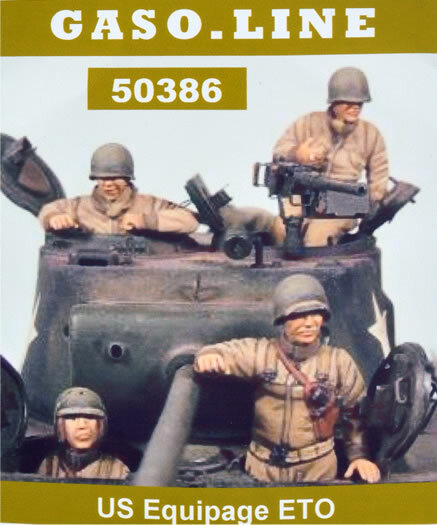 I must say that these are the best 1:48 scale US Tankers I have ever seen. The moulding is first rate, the fabric folds are spot on and the facial features are very well done. The set consists of one full figure, two three quarter figures and one half figures. Do yourself a favor and purchase these and sample what a resin figure should look like in this scale.